Uncooked loaves of bread are placed into a large oven at Formica Bakery. On Decembrer 3rd 2018, bread from Luigi’s in Ocean City and Atlantic City’s Formica Bakery are profiled. Assorted breads — sticks and dinner rolls, at Formica’s. On Decembrer 3rd 2018, bread from Luigi’s in Ocean City and Atlantic City’s Formica Bakery are profiled. A small slice is run down the middle of the loaf prior to baking. On Decembrer 3rd 2018, bread from Luigi’s in Ocean City and Atlantic City’s Formica Bakery are profiled. Formica’s sticks, a common favorite for area hoagies and sandwiches. These sticks are the only bread made at this Atlantic City location. Other breads, rolls, deserts are made at their Pleasantville factory. On Decembrer 3rd 2018, bread from Luigi’s in Ocean City and Atlantic City’s Formica Bakery are profiled. Formica’s sticks, a common favorite for area hoagies and sandwiches. On Decembrer 3rd 2018, bread from Luigi’s in Ocean City and Atlantic City’s Formica Bakery are profiled. A loaf of ancient grain, made with quinoa and millet. On Decembrer 3rd 2018, bread from Luigi’s in Ocean City and Atlantic City’s Formica Bakery are profiled. Frank Formica demonstrates how a roll of dough is formed. On Decembrer 3rd 2018, bread from Luigi’s in Ocean City and Atlantic City’s Formica Bakery are profiled. Rolls. 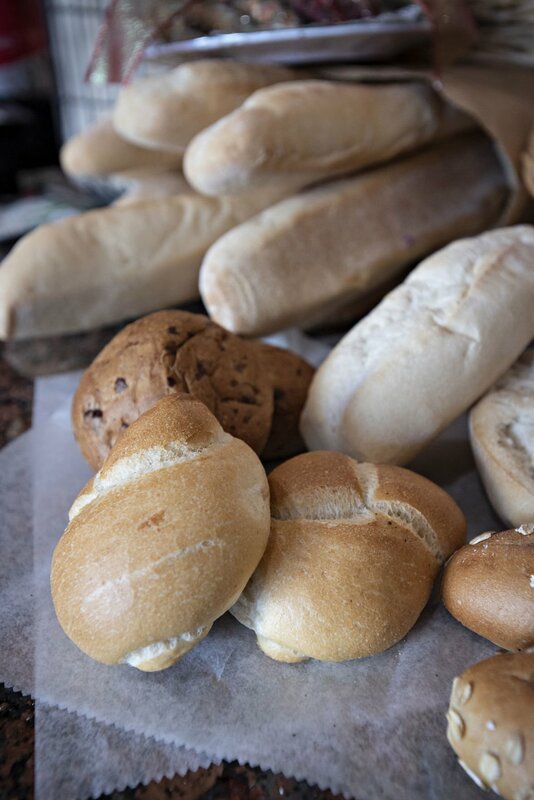 Formica Bakery sells an assortment of breads — from sticks to dinner rolls. Fresh baked breads from Formica Brothers Bakery in Atlantic City is sold by Myrna Larkin and Noemi Klebacz. Daria (Dasha) Dutova , Cafe Manager putout bread at Formica Bros. Bakery in Atlantic City Friday, April 16, 2010. Reporter talk to shop owners about construction that recently started for the expansion of the Walk outlets.